LOS ANGELES — April 5, 2018 — Litepanels®, a pioneer in LED lighting for the film, photographic, and broadcast industries, today announced the release of a firmware update for the company’s Gemini, the industry’s most accurate and versatile 2×1 soft panel. Gemini, which delivers precision color control and flicker-free light in a highly portable LED panel, now provides a broad array of dynamic lighting and cinematic effects with this firmware update. Gemini delivers highly flexible and precise color adjustment, removing the need for color correction by offering full-spectrum white light that is ideal for lighting talent and rendering exceptional color. Lighting professionals can “go bold” by lighting with any color in the 360-degree color wheel and popular gels within Gemini’s color modes. In addition to the new Lighting Effects mode, the 2×1 Gemini soft panel includes four additional lighting modes: Correlated Color Temperature (CCT) mode for bi-color (daylight to tungsten) with +/- green adjustment; a new RGBW mode that allows independent adjustment of red, green, blue, and white; HSI (hue saturation and intensity) control for full-color and saturation control; and Gel mode, providing the ability to dial up a variety of popular gels. All modes are accessible through an easy-to-use, intuitive LCD menu interface, and they offer users complete intensity control with smooth dimming from 100 percent to zero without any color shift. The Litepanels Gemini 2×1 panel is available at a suggested retail price of $4,440 (€4,200, £4470). The new firmware is now available for free and can be downloaded directly from litepanels.com. Litepanels, a brand of the Vitec Production Solutions division, was founded in 2001 by five professional gaffers and engineers who saw the future and pioneered LED lighting for motion pictures, television, and the audio-visual industry. Their Emmy® award-winning technology has now been used on thousands of productions worldwide and is trusted by the world’s leading broadcast organizations. Litepanels continues to expand its suite of flicker-free, color-accurate, fully dimmable soft lights that talent and lighting directors admire. These environmentally friendly panels can pay for themselves with power savings and long life, setting a new standard in professional lighting. 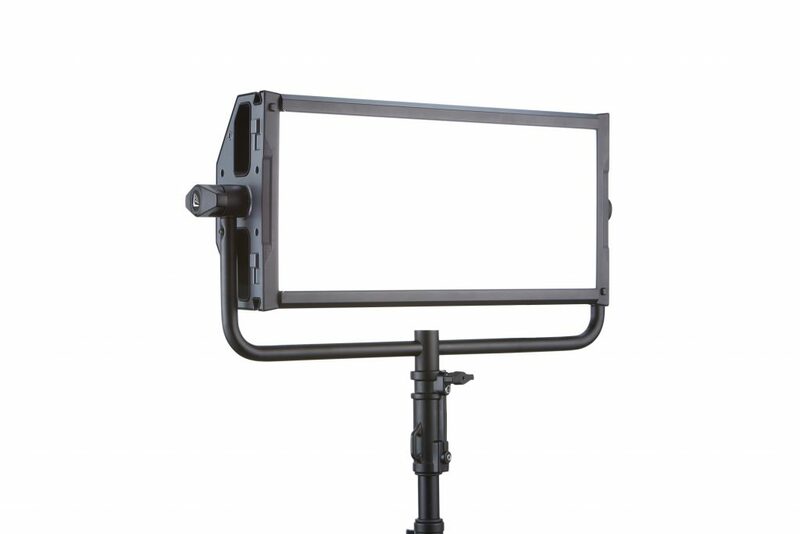 More information can be found at Litepanels.com. Vitec Group is a leading global provider of premium branded solutions to the ever-changing and fast-growing image and capture sharing market. Vitec Group’s customers include broadcasters, independent content creators, photographers, and enterprises. Vitec Group’s activities comprise design, manufacture, and distribution of high-performance products and software including camera supports, wireless systems, robotic camera systems, prompters, LED lights, mobile power and batteries, monitors, and bags. Vitec Group employs around 1,700 people across the world in 10 different countries and is organised into three divisions: Imaging Solutions, Production Solutions, and Creative Solutions. Vitec Group is listed on the London Stock Exchange with a 2016 revenue of £376.2 million. More information can be found at www.vitecgroup.com.